It's been one of the pleasures of my life to share these great old radio shows with you over the past few years. I'm so grateful to all of you who have listened, and especially to those who have gotten in touch. As you've probably noticed, these episodes have gotten fewer and farther between over recent months. I find that I have too many competing priorities. So I've decided to put an end to my Podcasting activities, at least for the time being. I will still continue to be active online elsewhere, and may be posting items of interest here from time to time as well. 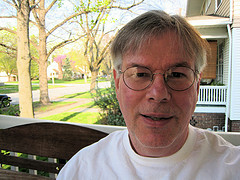 If you're interested in keeping up with my activities, here are some links. 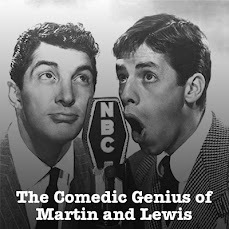 In case you're interested, you can find the remaining episodes of the Martin and Lewis radio show on the Internet Archives. Click here for that. I believe there are about half a dozen episodes that we didn't get to, beginning with Jeff Chandler's second appearance. I would also like to take this opportunity to express, once again, my heartfelt thanks to Meredith Montanez for her help with this podcast over the past year or two. Her research and encouragement kept us online a lot longer than would have otherwise been likely.